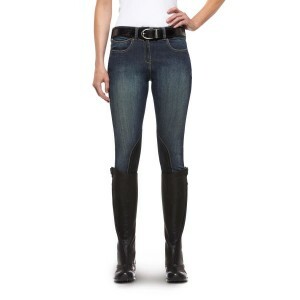 Whether worn as leggings or riding pants, the Denim Knee Patch is for showing off a sporty attitude. Tailored from premium stretch cotton denim with synthetic suede knee patches. The finish is a medium wash with hand sanding. 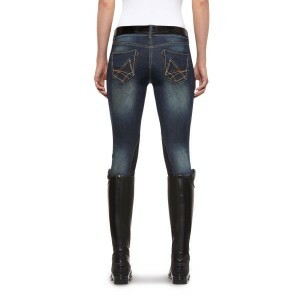 Ariat A back patch pockets and traditional denim styling details set this breech apart from the competition.